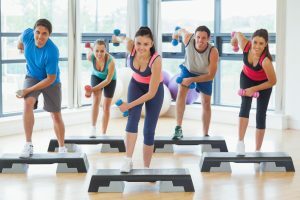 We have excellent instructors for every fitness format! No one understands the pressure and stress of needing an immediate sub more than Body Wellness®. We understand what you do because we do it every day ourselves for numerous gated communities and country clubs. Why be frustrated with Instructors calling in at the last minute and rushing at all times of the day and night trying to locate a sub for that early morning class? You have enough to do, let us do it for you! Avoid all the aggravation – Body Wellness® will provide the best instructors when you need them. We are your internal support system and we’ll do all the work and deal with the stress, so you can focus on other issues. No gambling and wasting time trying to find top tier instructors. We have over 500 instructors; certified and insured in every fitness specialty. We can provide you with subs or full time instructors – you tell us what you need….it’s that simple. You are secure knowing that Body Wellness® is a proven fitness provider and can meet your requirements. As a client you have immediate access via text, email or phone to our management when and if the need arises. For additional details and questions, please contact our Fitness & Wellness Concierge Susan@BodyWellness.com. Or call us at 561-981-2691 today.